On Sunday, September 16th, the Ste. 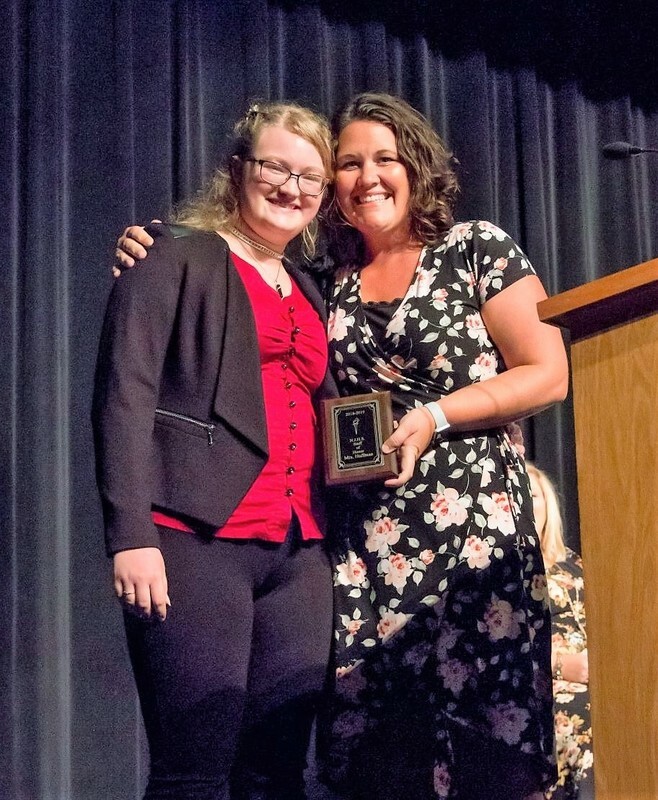 Genevieve R-II Chapter of the National Junior Honor Society held its induction ceremony in the Performing Arts Center. NJHS is under the direction of Mrs. Erin Stoll and Mrs. Michele Pellikan. 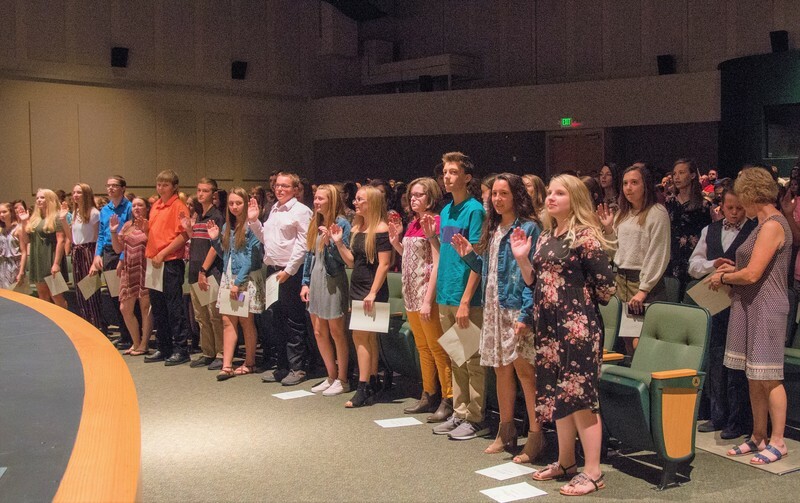 Each year, NJHS inducts students who have been selected based on their Scholarship, Leadership, Service, Citizenship and Character. There were 51 new members and 23 previous members in grades seven through nine who pledged this year. 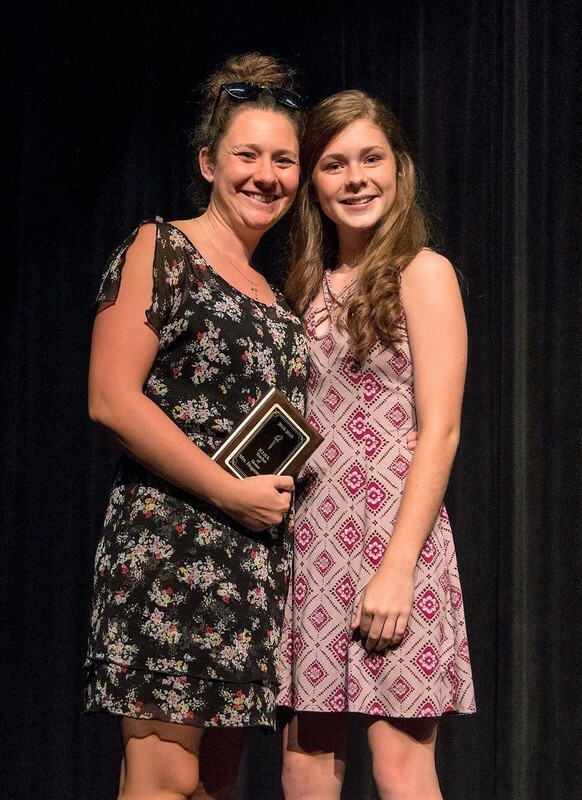 Mrs. Kristen Huffman was named NJHS Staff Member and Mrs. Kayla Hogenmiller was named the NJHS Teacher of Honor for the 2018-2019 school year.